This is a blog post from CEO, Seb, who’s enjoying opportunities to use hardware with BlueChilli tech startups. Read more about the synergy between hardware and tech startups below. I’ve been a fan of electronics since I was a kid. When I was much younger, I used to go to the “tip shop” and buy broken radio and amplifiers which others had thrown out, repair them and sell them for a profit. I used to make small radio walki-talkies and sell them to my friends at school. Later, I enrolled in Electronics Engineering at UNSW through the Royal Australian Navy, and earned a patent for my masters research work on designing drone sensors to autonomously land helicopters on ships at sea. When I started BlueChilli I always wanted to support startup entrepreneurs with hardware design and manufacturing. Early on, we experimented with a health-tech startup hardware prototype built to monitor stress, but I felt the ecosystem wasn’t quite ready then. Today, with over 120 startups under our belt, we’ve got the skills, scars, and experience in how to rapidly test and validate ideas in the software world. And we’re now taking that knowledge and applying it to hardware. This means – for selected startups in our accelerator cohorts – we will design, prototype and build hardware solutions to help them gain traction with customers. One example of this work, is the custom hardware device we designed and prototyped for SheStarts alumni TalkiPlay. Here, a custom product was needed to help kids learn language through gameplay. 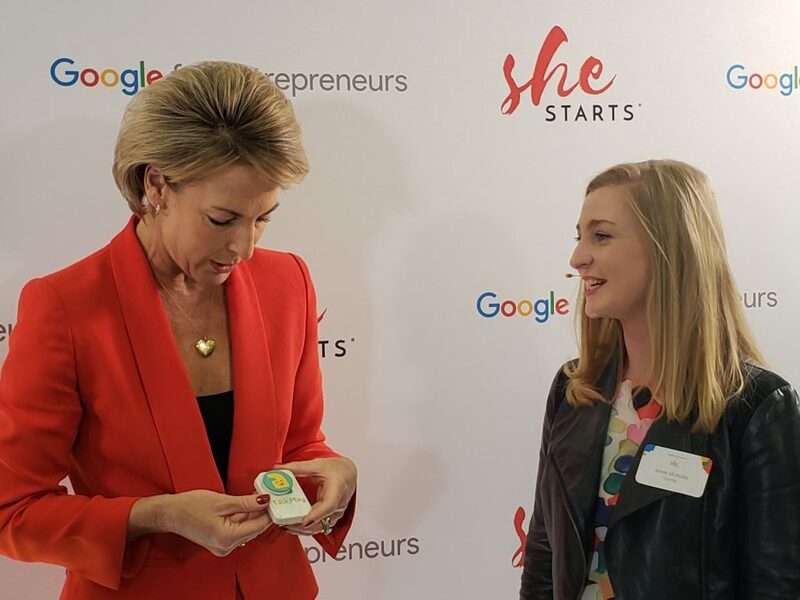 We designed a custom circuit with a 3D printed shell to validate the market need – and since then, the founder Dr Annie McAuley has signed contracts to sell thousands of these devices. This process has even been patented by TalkiPlay. Dr Annie McAuley (right) explaining how TalkiPlay encourages kids to learn language with Hon Minister Michaelia Cash. Another example is with New Zealand based Coca-Cola Amatil Xcelerate startup Sparrows, which is going through the prototyping process. For Sparrows, we’re building logistic and environmental data trackers using low power and long range communications networks with clever algorithms in the cloud, to provide insights to our customers in a new and unique way. This innovation was created off the back of extensive product market research and user testing with potential customers. PropTech + Hardware = ? 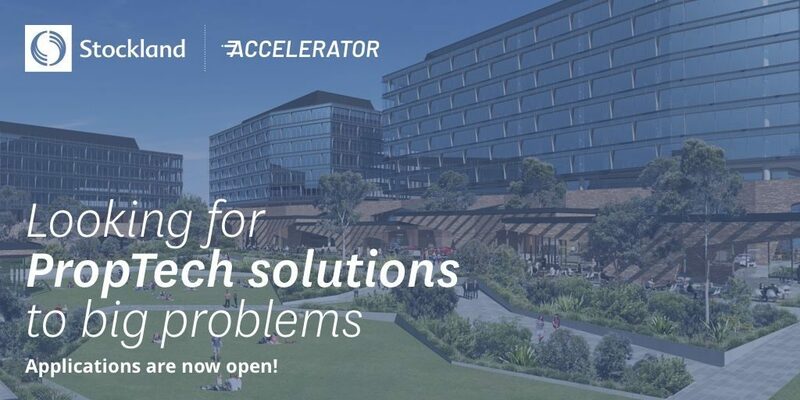 Our next accelerator is with Stockland and is looking for solutions to connect communities together in the PropTech space. As property is inherently “physical”, I want passionate and driven entrepreneurs to be unbound in their imagination and not be tethered to the digital world. We’re looking for solutions that blend the digital and physical worlds together, to empower entrepreneurs to build globally scalable and investable startups that connect communities using software – and hardware.